Rapper Rick Ross is rich enough to buy planes that he can pass out in, but that's doesn't mean he's above giving his music away for free every now and then. While his latest album, God Forgives, I Don't, still doesn't have a new release date after being pushed back last month, he's prepped a new mixtape featuring a galaxy of guest stars, including Drake, Nas, Diddy, Kelly Rowland, and Pharrell. 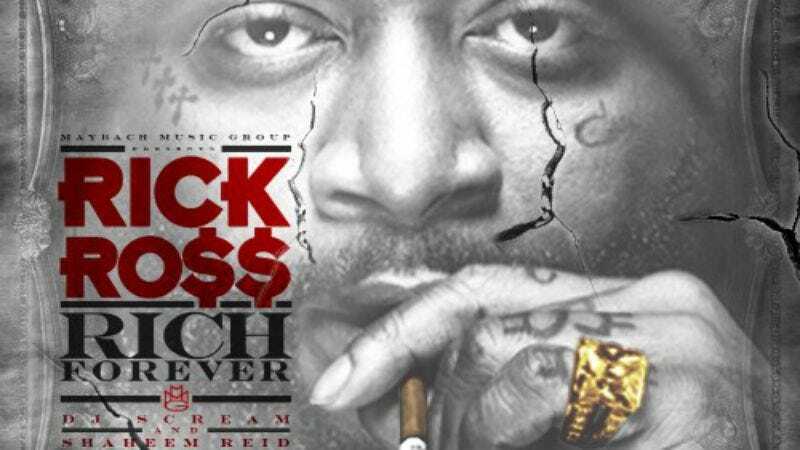 It's called Rich Forever and you can download it here. Enjoy!